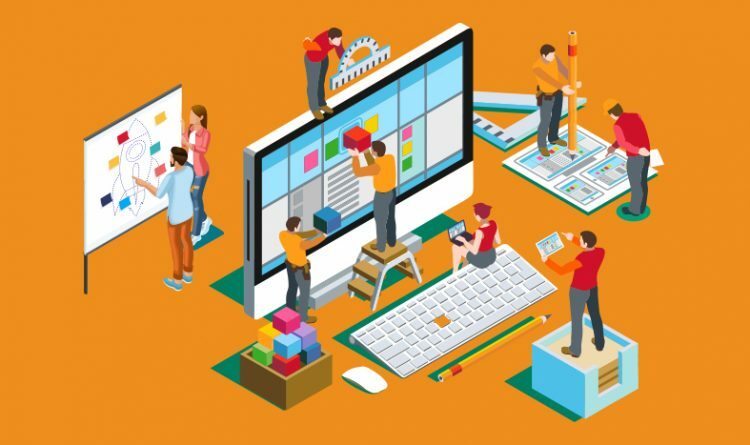 The concepts of Web Design have transformed over the years and it is far more different and interactive as compared to its traditional print forbearers. Nowadays, web designers are coming up with new and interactive designs but are facing technical challenges at the same time. The contemporary era demands the creative designers to develop the websites that are user-friendly, creative, and innovative and is in accordance with the corporate style. Present day era demands the designs which are device-friendly and just mesmerizing at first appearance. The year of 2017 has seen major transformations like the smartphones conquering over desktop browsing. With the mobile functionality being fully utilized in 2018, let us have a glance at web design trends becoming popular in 2018. Following are the web design trends becoming famous in 2018. No doubt, shadows are an important part of website design but have seen astonishing variations. The introduction of grids and parallax layouts is encouraging for web designers to play with the shadows and to create mesmerizing designs so as to create depth and illusion of the world beyond the screen. This is a direct response to the flat design trend that was famous in the years past. Shadowplay develops an exceptionally functional effect that raises not only the beauty of a web page but also enhances the User Experience (UX). It adds life to flat UI design and effectively drop shadows in website design that enhances the three-dimensional effect of the old shadows. The year of super excess and electrifying colors online is 2018. The past few years have seen many web designers stuck with web-safe colors but at present many designers are coming up and becoming more outrageous with respect to colors, which includes supersaturation and vivacious shades integrated with headers. Choice of color really effects how a user interacts with a design. In particular, monotone designs are easier to scan and read. Technological developments in monitors and devices with screens are appropriate for producing richer colors. New startups and brands can choose the variety of vibrant colors to attract the visitor’s attention and to make them set apart. Vibrant colors are responsible for increasing readability and legibility. It further sharps the navigation and enhances intuitive interaction. A single moving image is worth than a thousand words on a website as it provides the user with a fun and interesting experience. Particle backgrounds have seen to grab the user’s attention as they are really captivating and help brands to leave a memorable impression of themselves just in few seconds. Also, the moving graphics are becoming famous on social media. The last decade has seen flat design in vogue and on the preference list of most of the web designers as compared to dimensional colors but gradients are getting famous in 2018. Earlier, the gradients were seen mainly in the form of sophisticated shading but now there has been a transformation in the scenario. Nowadays, gradients are big, loud, and full of color. There have been many new features coming up in the market like the recent invention of the gradient filter over photos which enhances the quality of an image and makes it more interesting. A simple and ideal gradient background even will work best if you do not have any other alternative as it will make your website more appealing. With the progressive and exceptional browser technology, websites are getting transformed and aim to look livelier. Static images are no longer in fashion and latest ways like animations are used to provide an exciting user experience. Minute animations are helpful for attracting the visitors and giving them an exciting and mesmerizing experience. To exemplify, if the user visits the page and it takes time to load, creative and engaging graphics can engage the user. Graphics can be integrated so as to work with scrolling, navigation, and much more. The animation is the most effective tool so as to engage users in the story of a website. Animations are best to strengthen interest in your brand. Typography is the powerful and dynamic visual tool which arouses and stimulates the emotions and transfers the effective information to the clients. Big typography is spectacular and captivating. With the change in technology and device resolutions getting sharper and easier to read, it is expected to see a huge increase in the use of custom fonts. Big and bold typography enhances the important information on the website which is a valuable point for users and results in profitable websites. The trend of large letters, oversized text develops dynamic parallels, and keep the visitors busy reading your website. In particular, large typography provides a clear and concise website experience. Web designers are taking full advantage of large and impactful headers this year. A picture says a thousand words and illustrations is the best tool for keeping clients engage in your website. Illustrations are outstanding, superior, for developing visionary and productive websites and can be integrated to a great company identity. Custom Illustrations gives a unique look to match the unique brand. Custom Illustrations can make the website of serious and professional brands full of fun and energy and more approachable and interactive to the clients. There are diverse illustration styles that can match each and every brand identity. It is human nature that clients remember unique illustrations much more as compared to the text-based website. 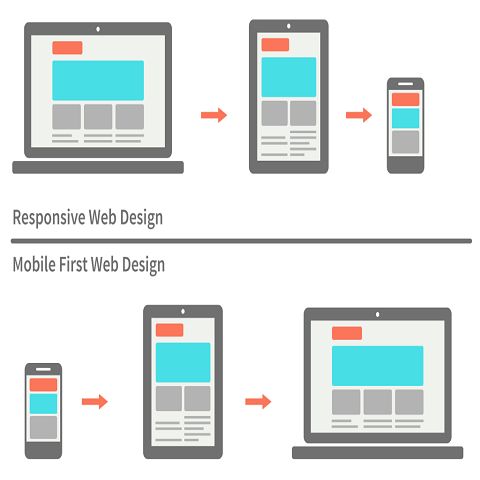 Mobile First has transcended the user experience and has officially become greater than desktops. Everyone these days shops smartphones and searches almost everything on the same. But in the recent years, mobile designs have become more mature and one can get a decent menu and submenu on a small screen. This simplifies the information in a concise manner. The menus for small screen have been minimized and one might need to ignore large photos as icons are much more beneficial and affordable in terms of space and it is easy for the user to understand them. The website is more responsive through mobile-first technology so that clients can easily access the website. One is easily able to get rid of the useless content as that content will be shown on a priority basis on a mobile first design. The introduction of asymmetrical and broken grid layouts in 2017 and the trend booming in 2018 is that it is exclusive, distinguishing, and sometimes experimental. The world of grid-based structures is getting obsolete and 2018 has seen an increase in the use of unconventional layouts across the web. The top brands are fighting teeth and nail so as to make them set apart in the crowd. Grids are best for creating a fresh structure and easy to create and navigate. Bigger brands are coming up with out-of-the-box ideas so as to have a unique identity. The grid layout system gives a more of a structured content and helps line up everything. 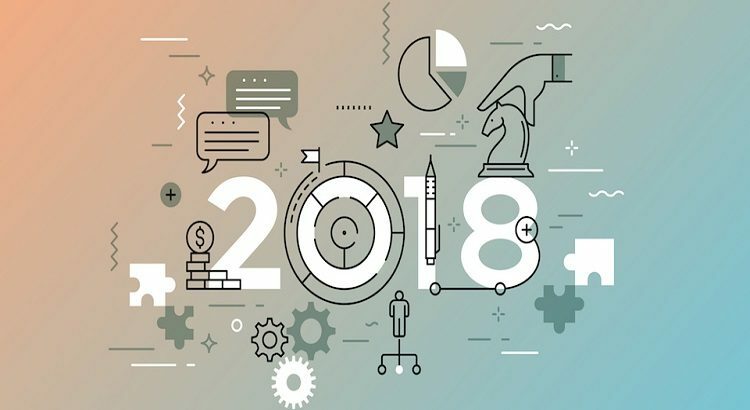 2018 is the year which has geared up with bright and vibrant colors, gradients and integrated animations and web designing trends have seen a major transformation.